Intense temperatures, dry conditions and glare are challenges architects in Abu Dhabi have to consider when designing architecture. Their sustainable approach to architecture pledges to develop an economy that can thrive once its oil reserves are exhausted. 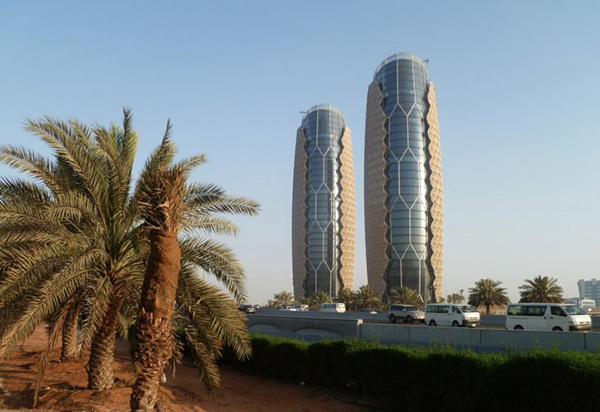 For the 25-story Al Bahr Towers, Aedas Architects lived up to this expectation by designing a responsive façade inspired by the “Mashrabiya”, a traditional Islamic lattice shading device. The façade sits two meters outside of the buildings as an independent unit. The design uses a parametric description for the geometry of the actuated facade panels. The team was able to simulate their operation in response to sun exposure and changing incidence angles during the different days of the year. 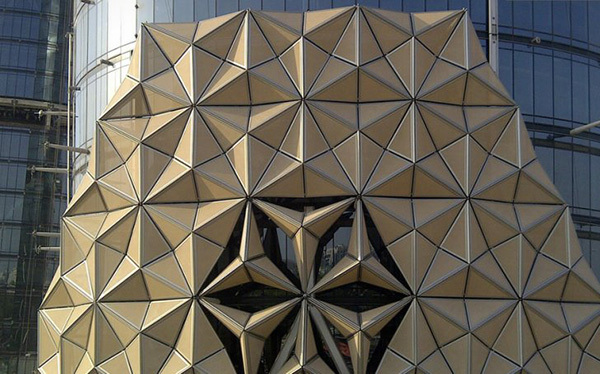 The geometric patterns that create the façade include over 1,000 moving components that contract and expand during the day depending on the sun’s position. Along with programming that enables response to the movement of the sun, each individual triangle is coated with fiberglass. This reduces solar gain and glare. The Mashrabiya facades reduce solar gain by 50 percent. This lessons the extent for air conditioning, aiding with the sustainable stance set forth in Abu Dhabi. 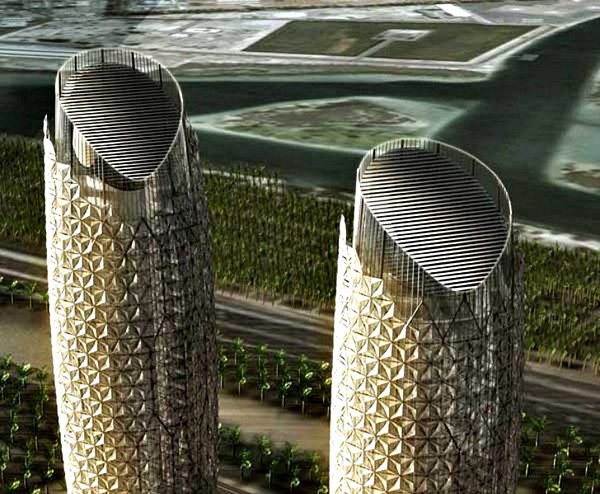 The towers are a great example of modern, sustainable, technology.